Improve your home and never overpay! Say it with me: Thermoplastic polyolefin. Yes, TPO is much easier. According to Firestone Building Products’ white paper, TPO is technically a polypropylene based plastic combined with ethylene/propylene rubber. So plastic and rubber, mixed together basically. Much of the information online boasts how TPO is increasingly popular in commercial roofing. Thing is, we aren’t concerned with commercial buildings, and instead focus on the options available, along with the costs, for adding this material to a residential roof. Like all synthetic roofing options, no two companies produce the same formula of TPO. Instead, they alter it just enough to create their own brand. All of it results in a membrane material, between 40 and 100 millimeters thick, which is attached to a roof deck. TPO is known as a single-ply application, meaning one sheet is sufficient to achieve the benefits (see Advantages below). It competes each year directly with EPDM and PVC, which are similar in application with some of the same benefits, but each have their own unique advantages. 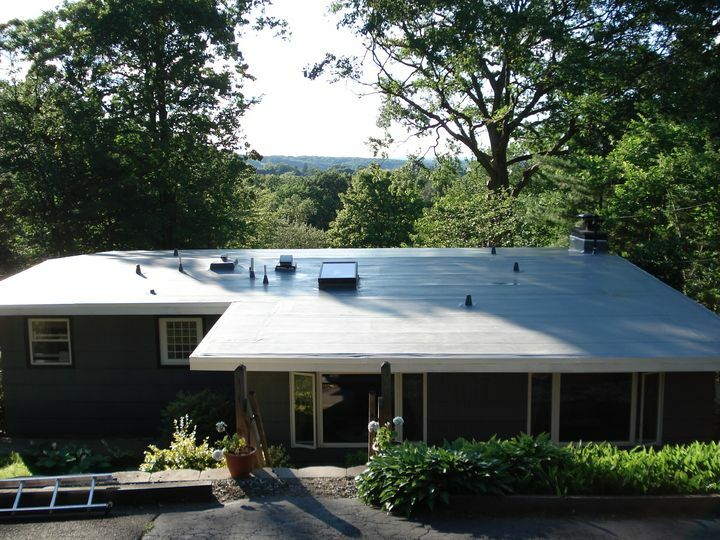 More often than not, TPO is applied to flat roofs, but not always. Any sloped roof can handle the material. Costs are likely to increase though if applied to a sloped roof. TPO manufacturers boast the resulting roof will be monolithic, or without noticeable seams. This is wonderful for waterproofing the upper most layer of a home. To achieve this seamless look among various sheets, the actual seams are heat welded together, which is possible given the type of plastic TPO is made of. PVC is another material that is welded at the seams, but with TPO the material is naturally flexible. All roofs need to allow for movement, either from weather / temperature changes or impact by humans walking on it. PVC uses additives to its base material to promote flexibility, while TPO is naturally flexible. Color options include white, light gray and black reflectivity. It used to be that only white was thought to reflect UV rays, but the material in synthetic roofs (namely a laminated top) can achieve this reflective option. The main thing with effectively estimating the price to install a TPO roof is finding a qualified professional who can do the job. Mechanically attaching the material, or even gluing (fully-adhering the membrane to deck), is something most roofers can probably do. Effectively hot air welding the seams takes care, skill and experience. If this part of the job is done ineffectively, the results (think leaks) will not make the overall value worthwhile. In our research, RoofingCalc.com lists residential TPO roofing costs at $5.00 to $7.00 per sq. ft. for materials and installation (2017 information), however some commercial contractors will install it for as low as $3.00 to $4.00 per sq. ft., but only on very large commercial flat roofs. A word of caution needs to be noted. This is touched upon in our Disadvantages below, but needs special mention. Back in 2010, the Midwest Roofing Contractors Association issued an advisory against TPO, which obviously impacted the market. Some of the TPO manufacturers responded to this advisory by noting that no two TPO materials are the same, meaning some brands avoid the problem stated in the advisory. Our take is that TPO is constantly undergoing changes in formula and that is likely a good thing. The industry is well aware of the perceived problem, yet the flip side is that the material doesn’t necessarily have a proven track record. If looking to go with this material, you are best to stick to companies who’ve been in it since the beginning (read as before the year 2000), to ensure the warranty will stand up. 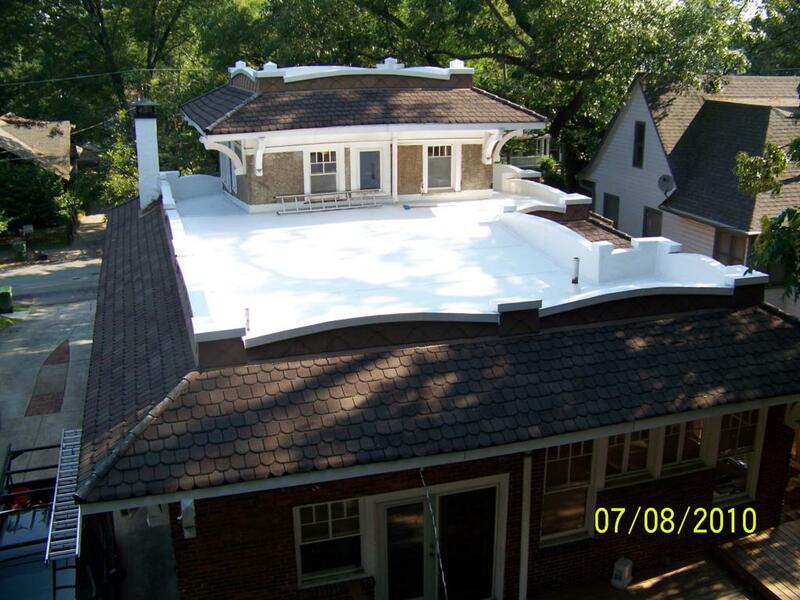 Usually warranties for TPO roofs are a minimum of 10 years, and as much as 25 years. The material itself ought to last much longer, so installation is the ongoing issue and how seaming is handled. In terms of the return on investment, the data for TPO is simply not there yet. Compared to PVC and EPDM it is questionable, if not poor. Yet, before ruling on it, check out the advantages and do your own homework, because no material is perfect and each has its own disadvantages. TPO is a material within in an industry that is earnestly seeking to improve itself each year.